This week's EtsyInspired shop is Bearly Art. 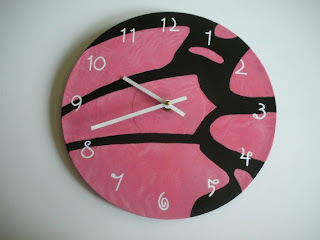 They specialize in painted clocks, sculpture, and other lovely hand painted decor items. This shop is super fun! This shop has a little bit for everyone from modern to cute or from fancy to fun. I love all the different designs they have! This week, Bearly Art is offering up one in stock clock of the winner's choice as a prize. How cool is that? Hop on over to the EtsyInspired blog to check out the detail and link up your creations! Our sponson this week is Sassy Cheryl's. This is a store stocked FULL of adorable digi stamps and colored images! They are offering up a $5 gift certificate as another prize this week. Here's my card for this week inspired by the clock above. I used some super pretty My Mind's Eye paper and just added a bunch of embellishments. GORGEOUS colors! Love the DP and the blingy butterfly rocks! Fabulous card. Love your inspirational clock and your take on it. 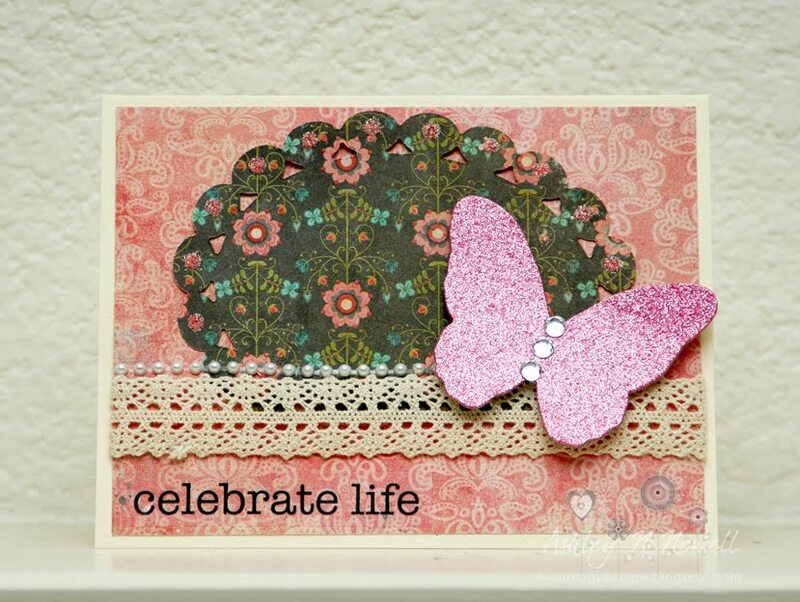 Beautiful cards and love the embellishments. What a fun shop. OOOOhh this is fun!! The patterned paper is SOO lovely and the butterfly really makes the card pop!! Fabby job! Great card Ashley, love the paper you chose, really pretty! I agree, Gorgeous colors. What great inspiration.